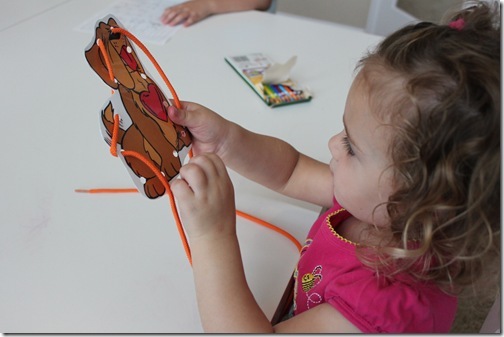 Puppy Preschool Theme Free Printables! Since my Teeny Tot loves Puppies, we went with that for our Pet theme this month. She is currently 2.5 years old, so we’re keeping it light. She is excited about school this year, and is eager to have her own work to do! I want to point out that I do most of this because she has older siblings. 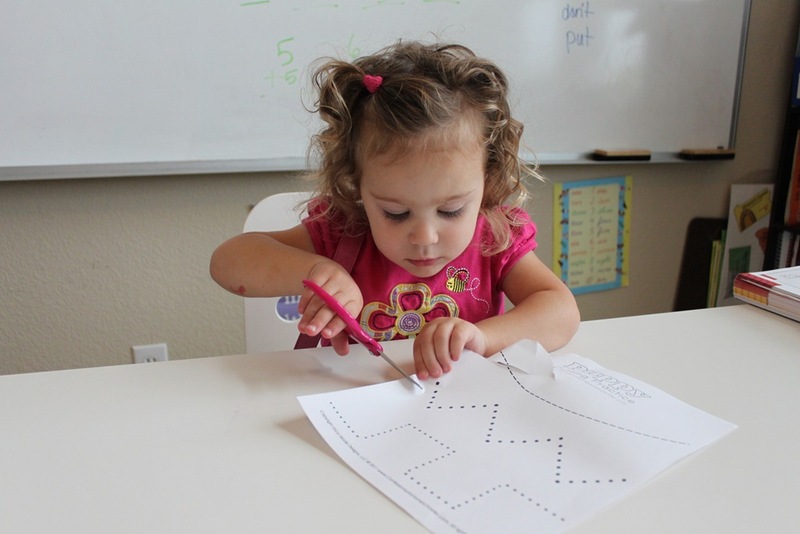 If your toddler is your oldest, don’t feel pressure to do tons of activities with them! Let them lead you, if you sense they are frustrated, take a break for the day or move on to something else. At this age, just keep it fun and light! Click here to download the Preschool Puppy Pack! 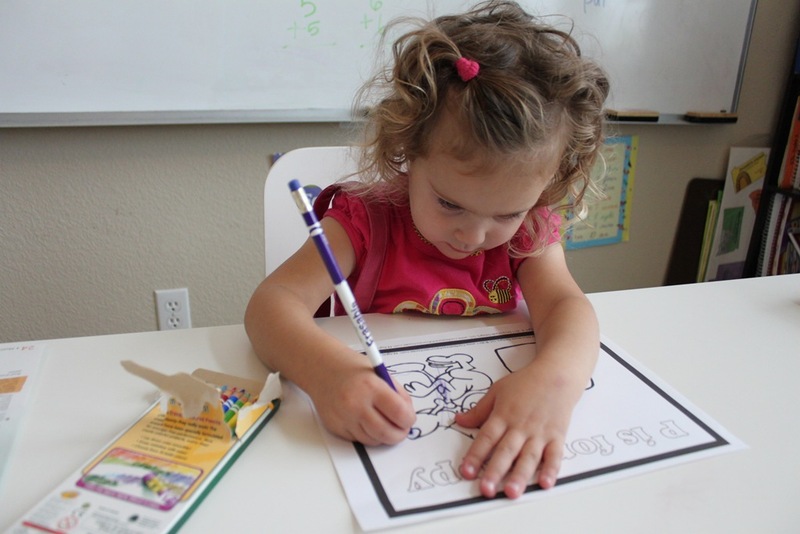 Prewriting Skills: It’s always good to practice basic handwriting skills just to get your fine-motor skills tuned. It takes time to be able to trace lines and so have patience! 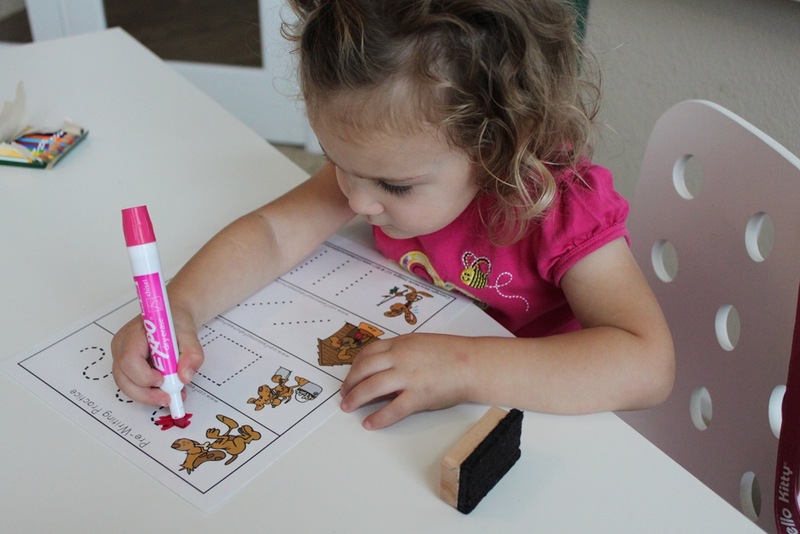 Pre-writing practice worksheets: We use dry-erase markers on these, you can either laminate the pages, or use page protectors so the worksheets remain re-usable. 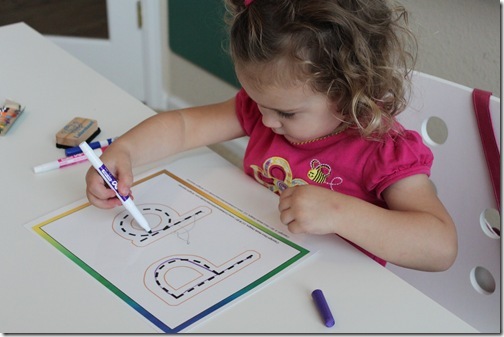 Large letter tracing: She was tracing all over on both of these worksheets, but the more we practice this, the better she’ll get. 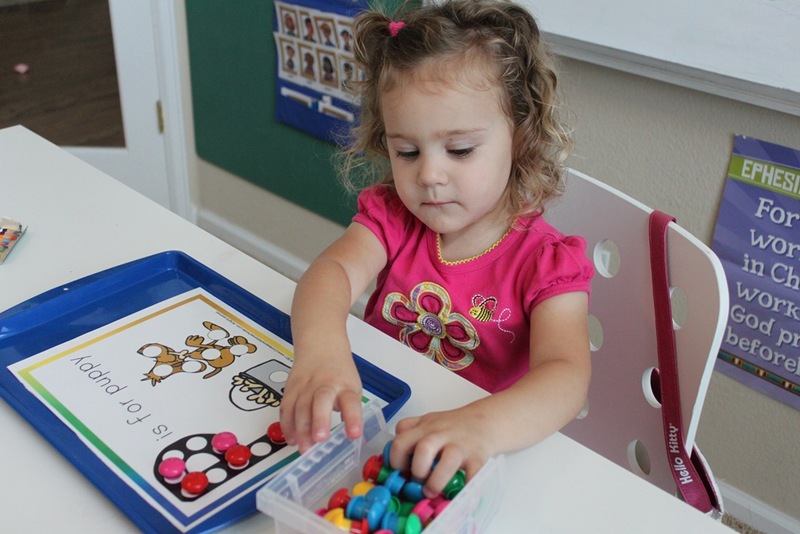 Math Concepts: These activities are all centered around practicing basic math principles such as one-to-one correspondence, counting, sorting, and logical thinking skill building. Magnet Page: One to One correspondence activity. We use these power magnets from Amazon. Number Counting Cards: We had some cute little dog bones that she used. We counted together and put the correct amount of bones on each card based on the number on it. Smallest to largest size sorting activity. I was impressed with the Teeny Tot’s skills here, she did these all on her own and we talked about which was the smallest and largest. Puppy Matching: I printed 2 copies of this page and cut one apart, and left one whole. We then matched up the puppy cards to the one on the game board. 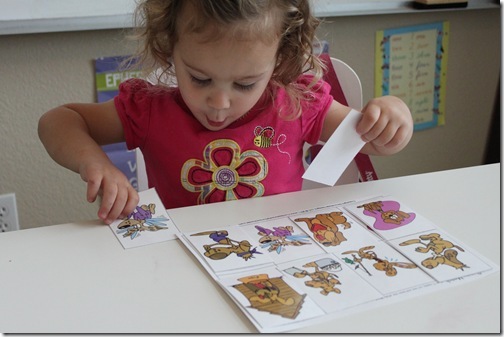 You can also cut both copies then flip them over and use them as a memory matching game. 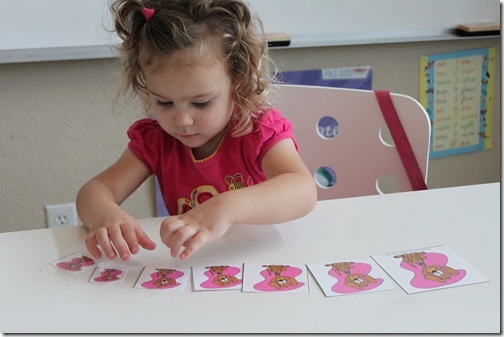 Number Order Puzzle: This is one of my new logical thinking and number order puzzles. If you put the pieces in number order you’ll have a completed puzzle. Pattern Activity: This is a little beyond what my Teeny Tot can understand right now, so I helped her out with it. I think after repeating these types of activities though she’ll get it soon enough! 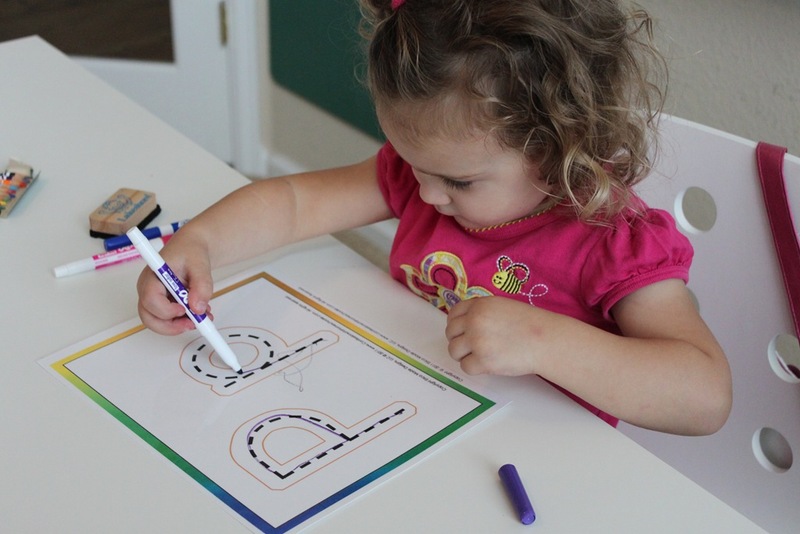 Motor-Skills Practice: These activities are all geared towards getting those little muscles working. 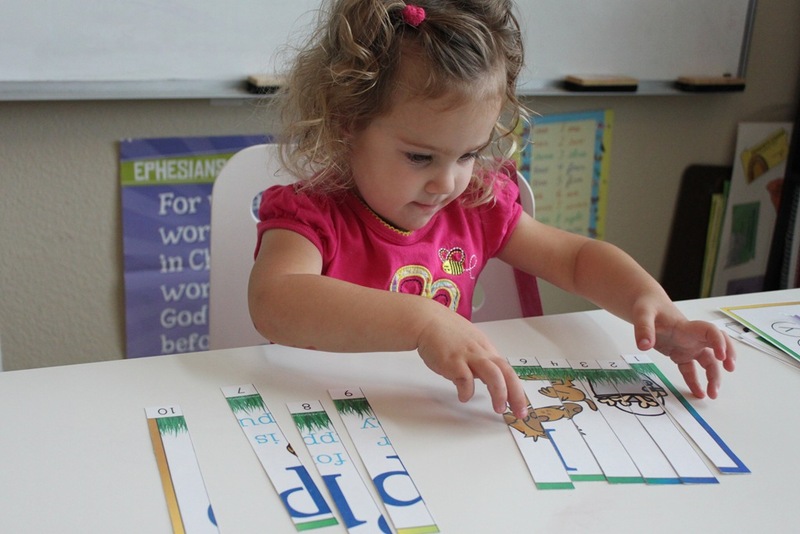 They work on muscle coordination, fine-motor skills and eye-hand coordination. Cutting Skills: We’re still working on proper scissor hold and it just takes some time to get it down pat so don’t get frustrated, just give your children ample opportunity! With rounded child scissors of course! 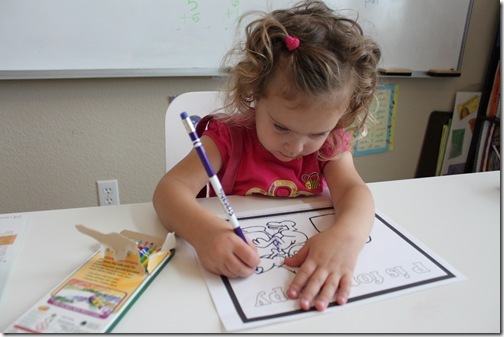 Coloring Page: Right now we’re using Crayola washable, erasable colored pencils. I’m a big fan of all things “washable” these days! 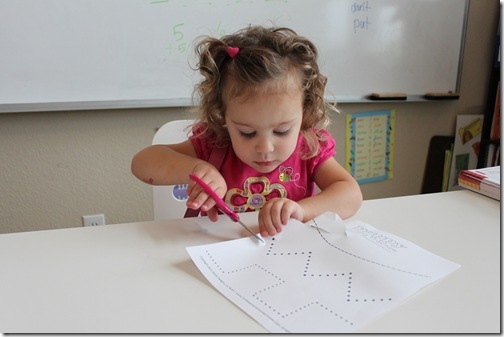 Do-A-Dot Page: One of our favorite activities…not washable might I add…are the do-a-dot marker pages! 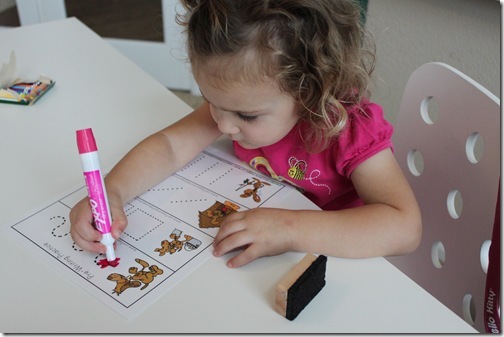 You can find Do-a-dot markers on Amazon and at most craft stores! The goal is to place one dot inside each circle. The file should open inside your browser window, if it doesn’t, right click on the link above and select “SAVE LINK AS”. You will be directed to save the file to your hard drive. 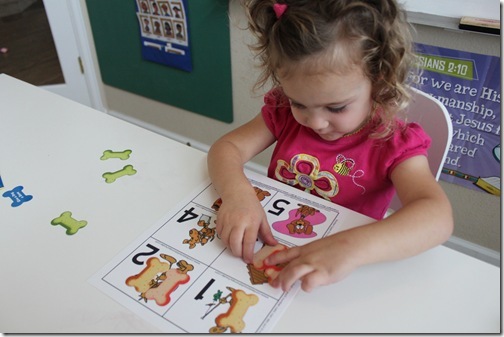 I hope you enjoy the Preschool Puppy Pack! This is too cute! My son is obsessed with puppies right now, so this is perfect. Thank you! Thank you. We sure appreciate these freebies in our house. My 3 year old loves “school” time. Thanks. My J-jo will love these as he loves puppies (as long as they are not real!) He’s terrified of real dogs. You are a life saver. My tiny girl, who is three, believes that she is going to school with her big sisters this year. She has been waiting to find out who her teacher is and everything. She is hungry to learn and I haven’t been able to keep up with her and the other two this summer. 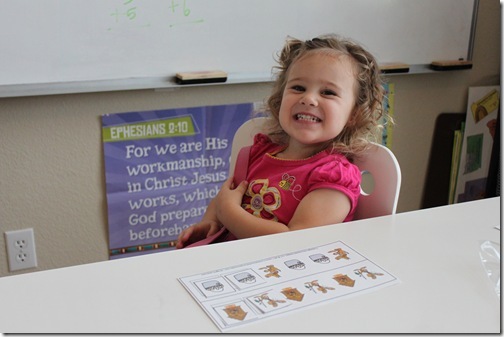 This will make for a great first lesson to her school year. Wow, she is getting so big! 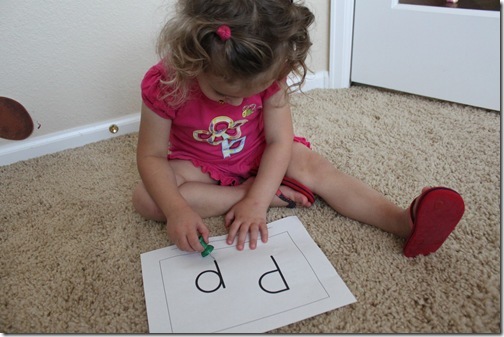 I am so impressed with her “school skills”! My twins just turned two (yesterday!) and I have been dying to do school type stuff with them (I am a former pre-k teacher in withdrawal lol) but they just don’t “listen”. For example, if I gave them markers they would A) fight over who gets to hold ALL of them. B) scribble over the entire table. C) run off with them. D) all of the above! It’s okay though, we just practice in very short bursts and then move on. 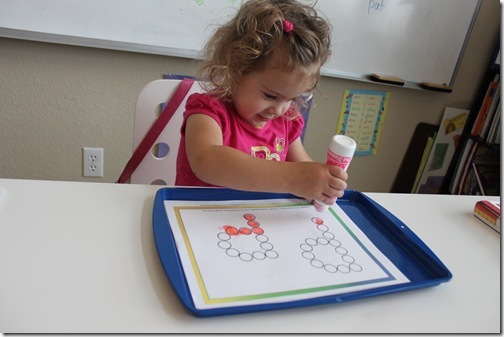 I could never really get them into tot trays either. I think if they had older siblings they would be more into it. Hi Katie, I want to make it clear that I think the main reason she’ll sit and do these activities is because she sees her older siblings doing them and just wants to be involved. I highly doubt my oldest would’ve done them when she was this age. But even I’m surprised by her desire to do “work”. I have to keep her drawers full of fun activities so she has something to do each day or she gets mad. Thank you for sharing your hard work!